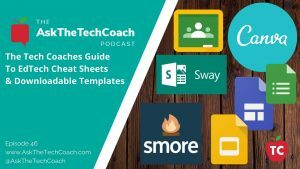 Why Should Tech Coaches Be Making Up Cheat Sheets And Templates For Their Teachers? 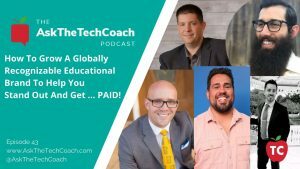 In this episode of “Ask the Tech Coach,” Jeff and Nick discuss the reasons why your Tech Coaches should be creating EdTech Cheat Sheets and Templates for their teachers. How Can Tech Coaches Use PD Days To Establish A Month's Worth Of Teacher Interactions? 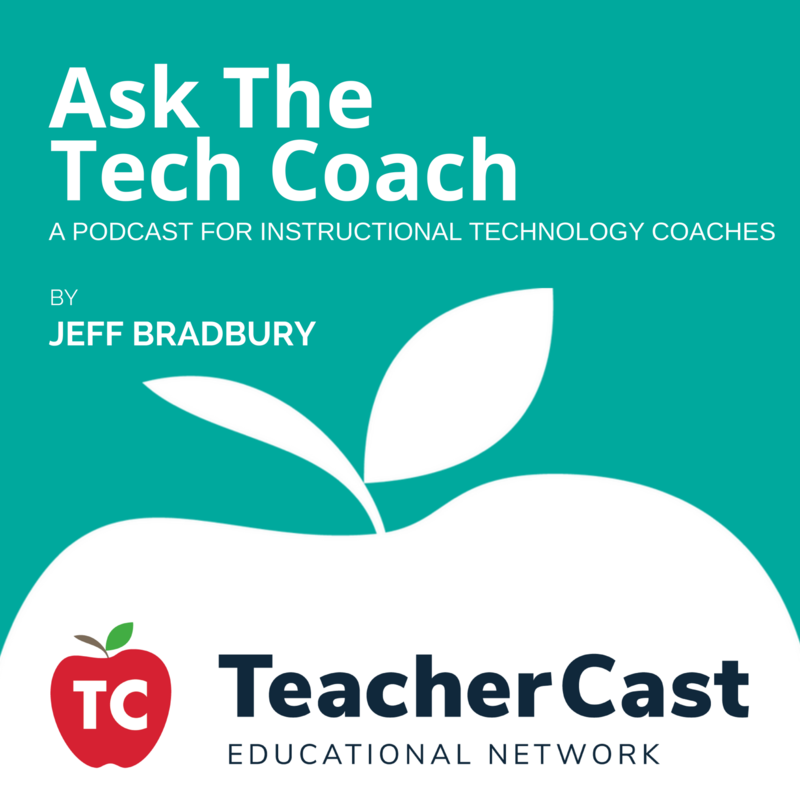 In this episode of “Ask the Tech Coach,” Jeff and Nick take a look at the important period of time that happens after a major PD Session and discuss several things that a Tech Coach can do to engage their teachers both in large, medium, and small group settings. 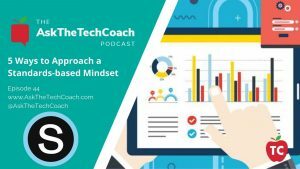 In this episode of “Ask the Tech Coach,” Jeff and Nick welcome Kellie Ady from Schoology on the program to discuss how teachers can approach a Standards-based mindset. Learn Why It's Important To Know Your Audience When Creating A Content Strategy For Your Brand Today! Learn the most important top branding strategies for educators by some of the most visibly recognized educators in the world. 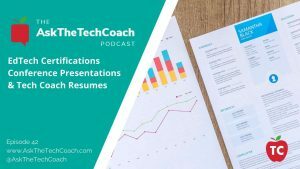 In this episode, we take a look at three ways that a Tech Coach can build their brand through Certifications, Conference Presentations, and Resumes. Are you looking to take your Tech Coaching to the next level? 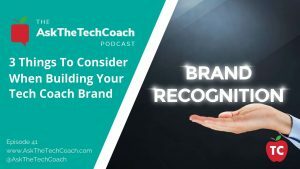 Check out our latest Ask The Tech Coach Podcast to learn our 3 most important tips for creating your Tech Coach Brand! 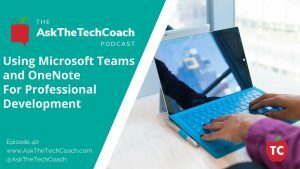 Learn how you can use Microsoft Teams and OneNote as a Tech Coach to both in the classroom and in professional development situations to help your teachers implement digital technologies with their students. 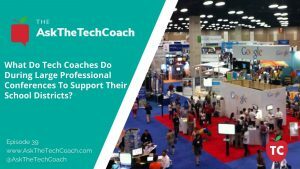 What Should Tech Coaches Be Doing During Large Professional Development Conferences? In this episode of “Ask the Tech Coach,” Jeff welcomes Tech Coaches Susan Vincentz and Claudio Zavala Jr to discuss the role of the Tech Coach at professional development conferences, the creation and impimention of online learning modules, and our favorite Chrome Extensions. How Do You Make Meaningful and Professional Online Learning Modules For Your Staff? 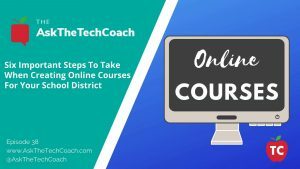 Learn the six most important things about creating online courses and professional development learning modules for your school district today! 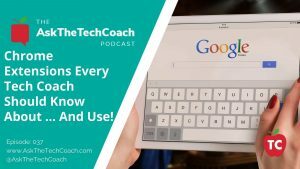 In this episode of “Ask the Tech Coach,” Jeff and Nick discuss their favorite Chrome Extensions that every Tech Coach should have in their back pocket when working with teachers. 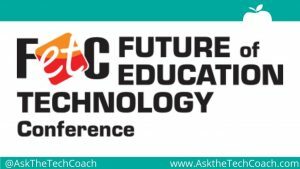 In this episode of “Ask the Tech Coach,” Jeff and Nick look back on a fantastic trip to the FETC Conference. Later in the episode, we sit down for a conversation with Sam Brooks and Lance Key to discuss how their school district is personalizing learning in their school district. Should Tech Coaches Start Thinking Like Administrators? 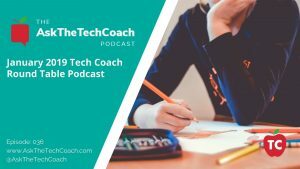 In this episode of “Ask the Tech Coach,” Jeff and Nick welcome Educoach cofounder Shira Leibowitz and Tech Coach Kitty Tripp onto the podcast to help us learn how to create a culture of professional learning in our school districts. 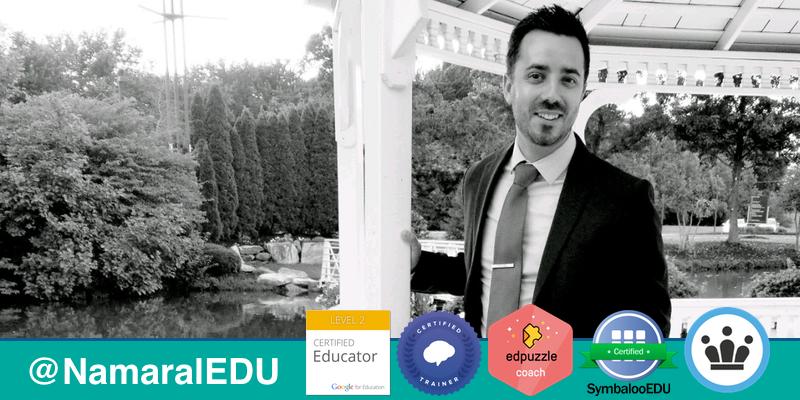 With over 18 years of teaching professionally in the classroom and over 800 educational podcasts recorded, Jeff Bradbury is a world-known educator, podcaster, and clinician. 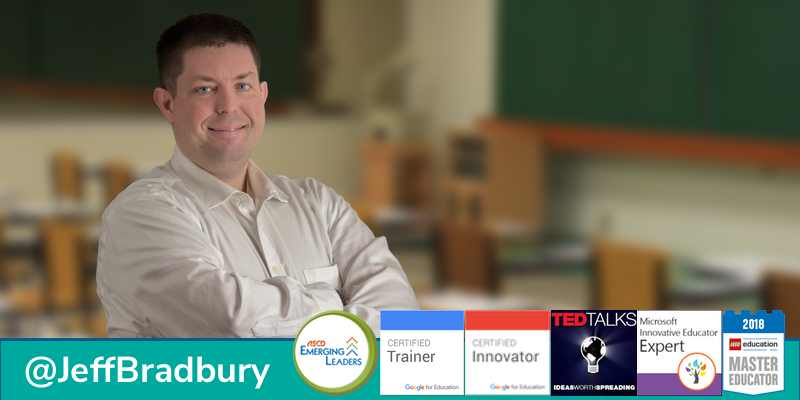 Jeff is a Google for Education Certified Trainer, Microsoft Certified Trainer TEDx Speaker, and has worked with more than 400 educational technology companies through his TeacherCast Educational Network that he founded in 2011. Jeff Bradbury has presented at the ISTE conference, as well as dozens of other conferences across the country and has presented Keynote Presentations for Pearson and EdTechNJ. Contact Jeff today to invite him to speak or present at your next event. Thank You for visiting TeacherCast. I hope you found this website useful. please email and say hello. Work with Jeff Bradbury today! © 2019 TeacherCast Educational Network | Create your own Podcast Website today! Please contact the show to be a guest on our next podcast.